The Kids to Seniors Korner Program is a synergistic private/public collaborative which involves six local partners: Catholic Charities of Northern Nevada - Fiscal Agent; the Reno Police Department, Washoe County Sheriff’s Office, Health District, Social Services and Senior Services. This alliance presents opportunities to provide a combination of services to at-risk populations such as low-income children, families and seniors. The Kid’s Korner Program was initiated as a small project by the Reno Police Department and the Washoe County Health District in 1996. A Reno Police officer and a Public Health Nurse made weekly visits to motels to check on the welfare of children and provide access to community resources to deal with health and welfare issues. 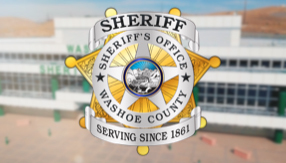 As the program grew, Washoe County Sheriff’s Office, Sparks Police Department, Washoe County Health District, Washoe County Social Services and Saint Mary’s Regional Medical Center aligned to create a partnership to meet the critical needs identified by the project. Because seniors are also vulnerable, the Senior’s Korner Program was developed to identify and assist at-risk seniors. The two programs merged in 2003 to better meet the needs of Washoe County’s most vulnerable citizens. 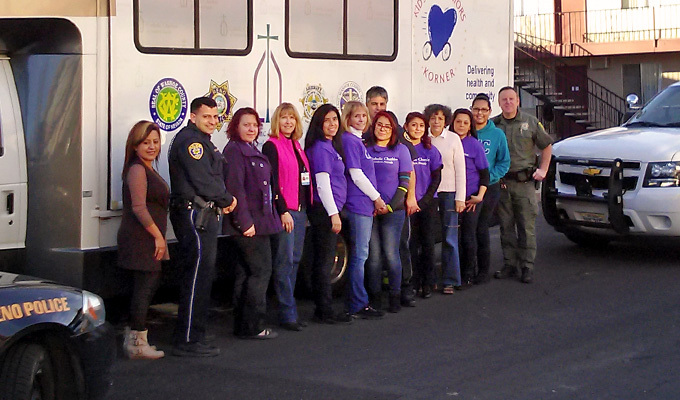 In December 2011, Catholic Charities of Northern Nevada became the new fiscal agent for this collaboration. A multidisciplinary Knock ’n’ Talk team made up of law enforcement officers, nurses, and social workers who walk through a targeted neighborhood, knocking on doors and talking to residents who may be in need of services. The mobile clinic is strategically located in the neighborhood for the day. Depending on individual need, the children, families and seniors served by the program can receive immunizations, health and social service assessments, education, resources/referrals and on-going case management. Over 85,000 children, families and seniors were served in Washoe County neighborhoods since 2001.